There once was a time when gods and people walked the earth together. Your clan traces its ancestry back to those times. Your clan history begins when you joined the forces of the storm god Orlanth. 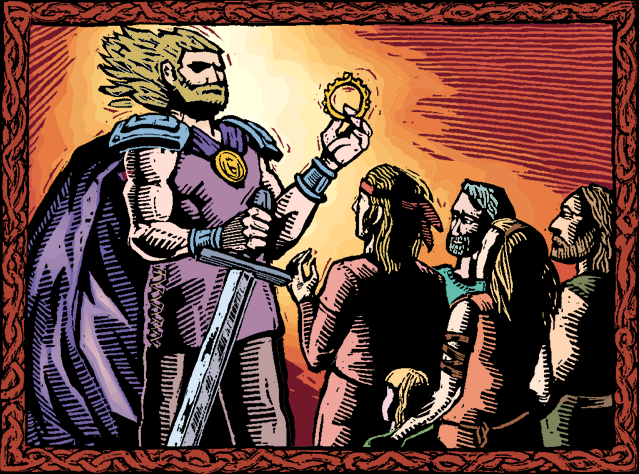 Back then, Orlanth was simply one of many upstart, rebellious gods bent upon conquest of the world. Orlanth's unique contributions at that time were personal honor and a close kinship to the other deities who seemed to be on the winning side. 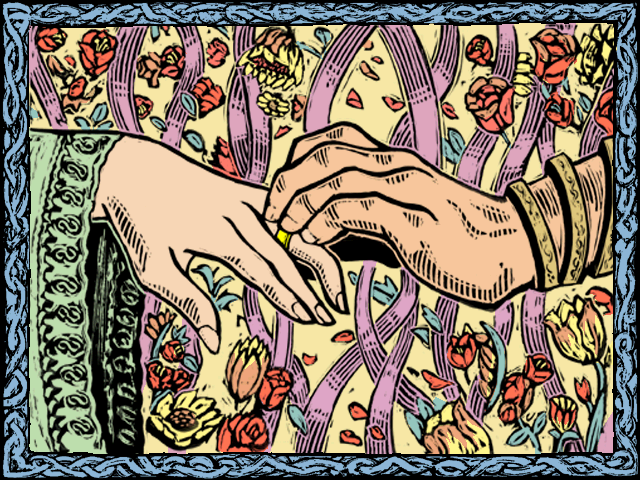 After many tribulations, adventures and discoveries Orlanth proved himself worthy of marrying Ernalda, the Earth Mother. The two of them created the Marriage Ring and established great harmony in the world through this sacred bonding. Our clan took part in the wedding ceremony. Most clans either whooped with Orlanth or learned a secret from Ernalda. A few clans stood with Elmal, God of Horses and the Sun, as an honour guard. How did we prepare for the great marriage? -Our men and women donned gleaming armour and stood guard with Elmal to protect the celebrants from Orlanth's many enemies. -Our men whooped with Orlanth and drank the Eight Known Drinks, so that their heads would hurt during the ceremony. -Our women withdrew with Ernalda and learned a List of Names, which they promised not to repeat to the men. This is the beginning of clan creation. There will be many choices presented to us, but there are no right or wrong answers. Some choices may make our lives more difficult, and some may allow us to see certain events that only occur if we make a specific choice during clan creation. Our people, the Orlanthi, hold the ways of their ancestors in high esteem, so we will be expected to follow the mindset carved out for us during our clan's creation. We are always free to defy tradition, but doing this is rarely wise.